MOVIE REVIEW: Fantastic Mr. Fox – Fabulous Fake Fur Fun! 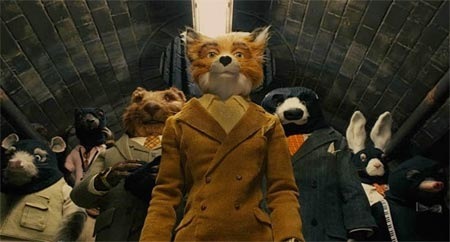 Wes Anderson’s Fantastic Mr. Fox is one of the best films of the year! Adapted from – and expanded upon – Roald Dahl’s excellent book, Fox is an original. An organic delight from start to finish. The story of a slightly egocentric fox [he has a trademark!] who gives up stealing chickens and squabs for the somewhat less exciting life of a newspaper columnist when his wife tells him she’s pregnant is an odd mix of civility and ferocity.